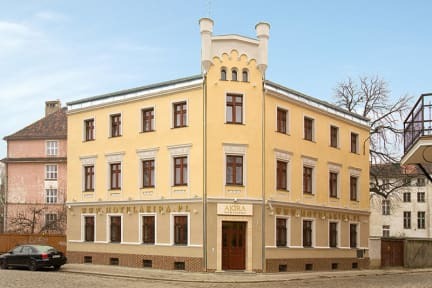 Akira Bed & Breakfast i Wroclaw, Polen: Bestill nå! 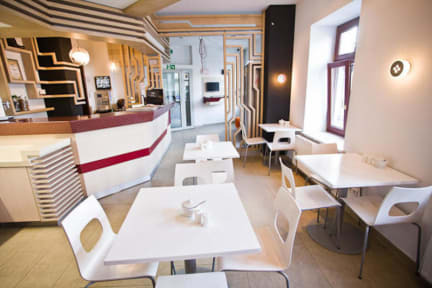 We are located in a very stylish century old building in the center of Wrocław. Fully equipped rooms for 1,2 & 3 people (bathrooms, TV, Internet etc.) will guarantee a comfortable stay. The price includes a buffet breakfast. A convenient hotel car park is also available for our guests. Our friendly and helpful staff would not only make sure you will have a good stay, but will also let you know about all cultural events taking place in Wrocław! Our guests can also enjoy up to 20% discounts in some of Wrocław Old Town restaurants!